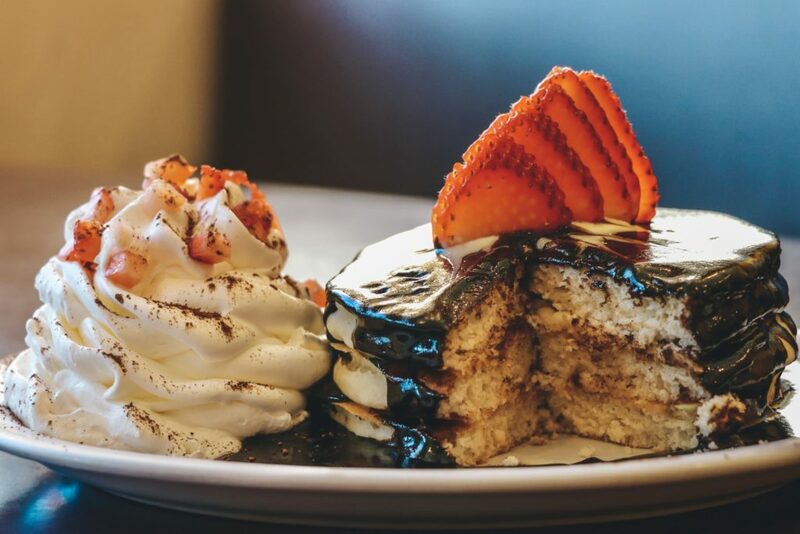 We will be offering a special pancake to celebrate Valentine’s Day for the entire month! This will come with three White chocolate chip pancakes, covered in a dark chocolate mocha glaze topped with a fresh strawberry. Served with whipped cream topped with cocoa powder and diced fresh strawberries. They will be available between until the 2/28. 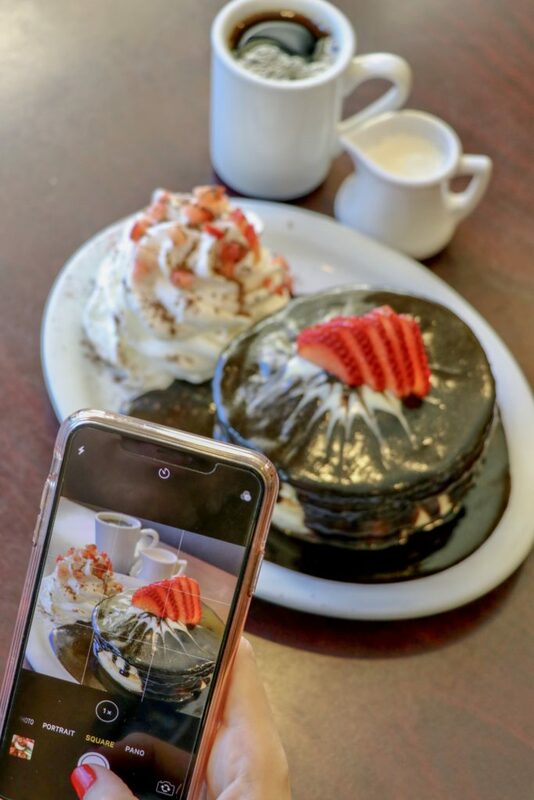 Enjoy taking a picture, posting it, and of course eating it! Don’t forget put the #eggsnthingshi!